fresh pasta | DR Yiota: The BLOG because pursuing a JOYful life is a journey worth taking! Oh yes! 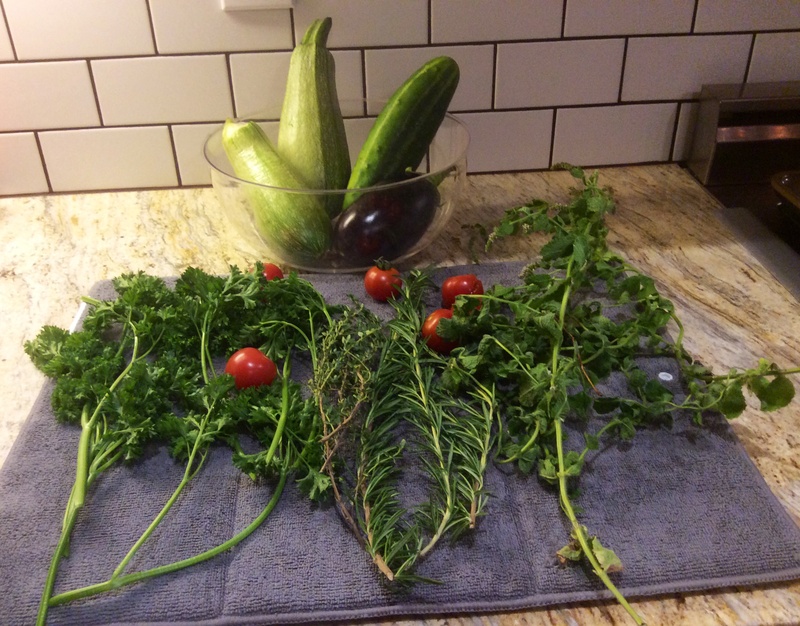 Fresh organic veggies and herbs from our school garden today … tomorrow I’m gonna make a cucumber-dill sauce for grilled salmon. I’m also thinking about using the eggplant and zucchini for a fresh pasta topping sautéed in olive oil of course. These foods do not make me feel bloated and instead … So pleasantly satisfied. Here’s the link for the sauce I want to try … Enjoy!